For the first time I happen to see this lovely bird in the Kanha meadows in Kanha National Park in the year 2004 ,known world over as one of the best maintained park and of course for Hard ground Barasingha, the flagship specie. 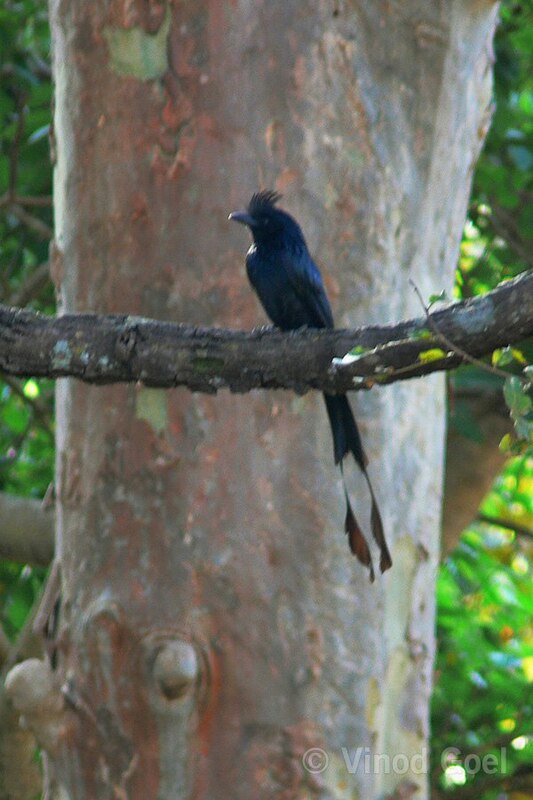 Later on I got a chance to shoot them in Pench National Park in 2007 and 2008 when BBC was busy in making the best ever documentary on the life of the tigers “Tiger -Spy in the jungle “ .I found Greater racket Tailed Drongo in plenty in the thick green forest. 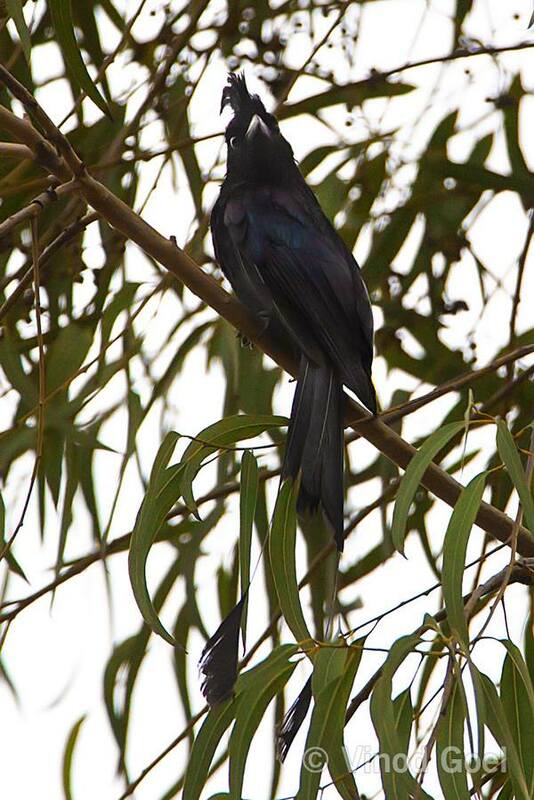 There after I have been observing this specie in most of the parks as this as a forest bird. 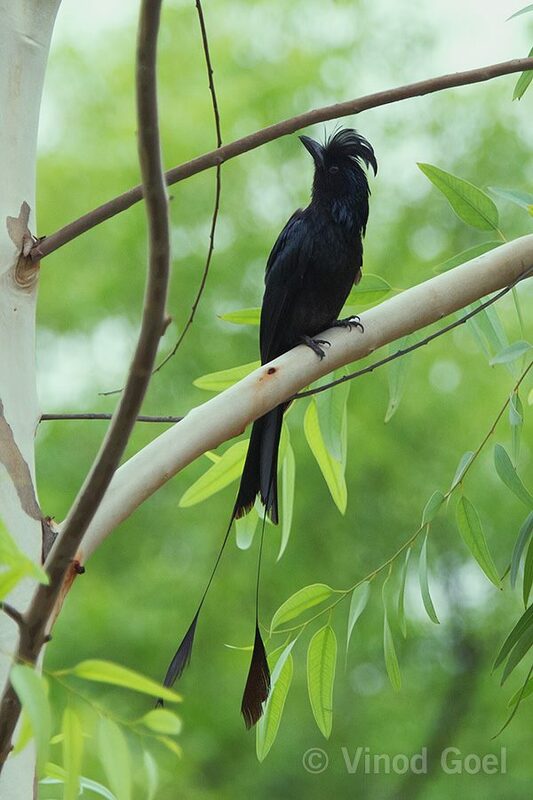 It is the largest of the drongo‘s species and is easily identifiable by the distinctive tail rackets and the crest. They are aggressive and mob even larger birds during nesting period. I happen to see one chasing Indian Great Hornbill in June 2016 at Dudhwa National Park in Uttar Pradesh. The most surprising was its presence in the heart of Delhi in the morning of 28th June 2016.Thank God I was able to shoot it with my camera. During birding I observed it on a eucalyptus tree and it was hardly for a minute. From where it landed up on the tree and where it went as I got busy in changing the settings of the camera to have a clear shot. But I could manage to get some shots. i was surprised to observe in Delhi as only 3 weeks earlier I had returned from Dudhwa National Park where I saw it chasing a big bird for quite sometime. Soon after the sighting I rang up Dr Faiyaz Khudsar from Yamuna Biodiversity Park,Delhi and Sh Shah Hussain from Aravali Biodiversity Park ,Delhi . It was a big surprise for them too. But I could get some shots. This incident was reported by the Times Of India in the Delhi Edition of 3rd July 2016 informing the readers and birders that it was sighted after 40 years. 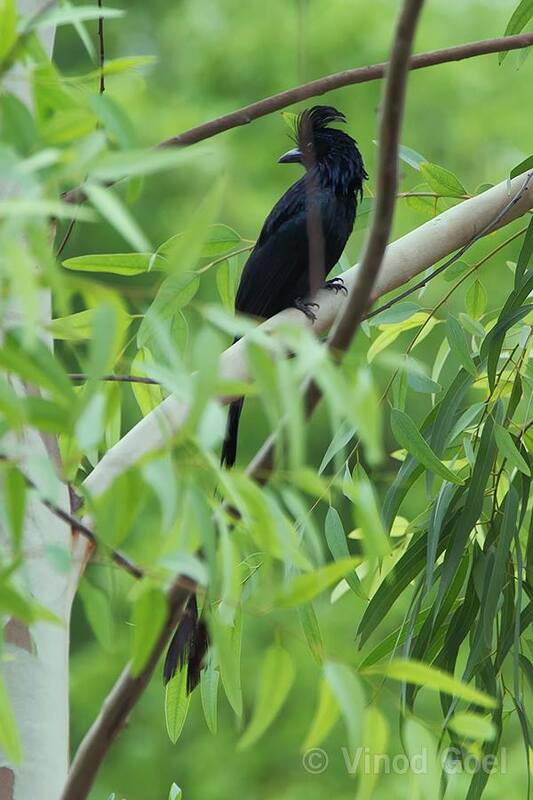 It was a big surprise for the birding community of NCR Delhi. I thought of sharing the images taken on 28th June 2016 as this bird is reported to mimic calls of 35 other winged species , 3 mammals and 2 frogs.